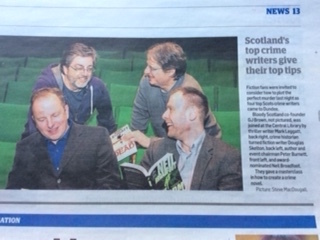 The next evening of crime based hilarity will be in Glasgow Waterstones, 4th November. 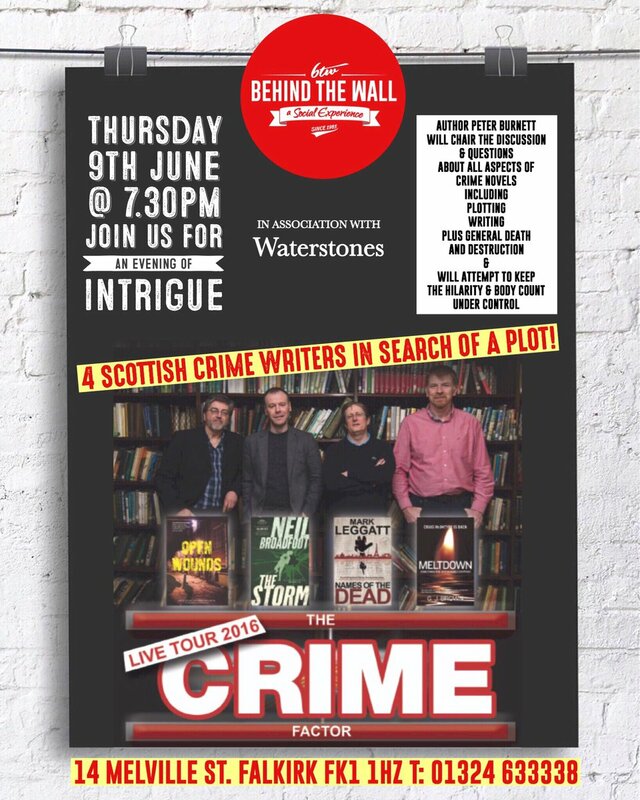 We’ll be talking all aspects of writing crime, and cracking stories from the boys on being a crime writer. 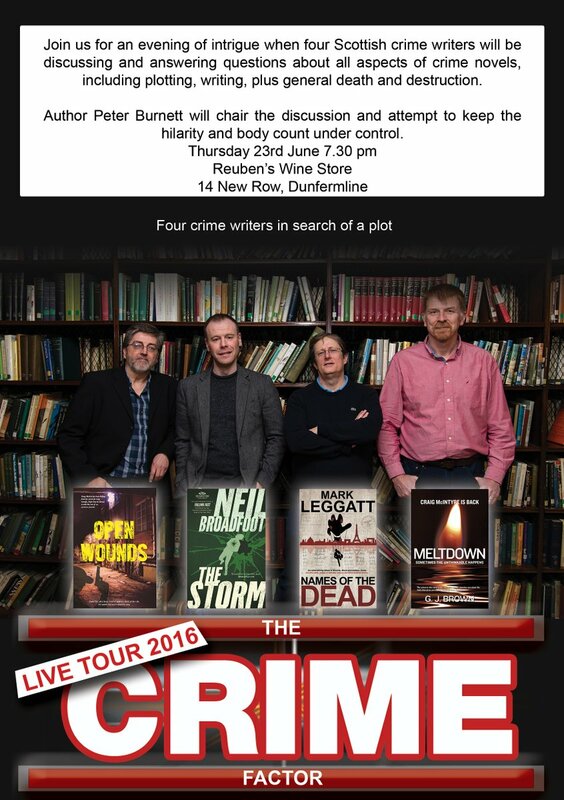 Dundee, Steps Theatre, 14h April – see below for report. A great night! 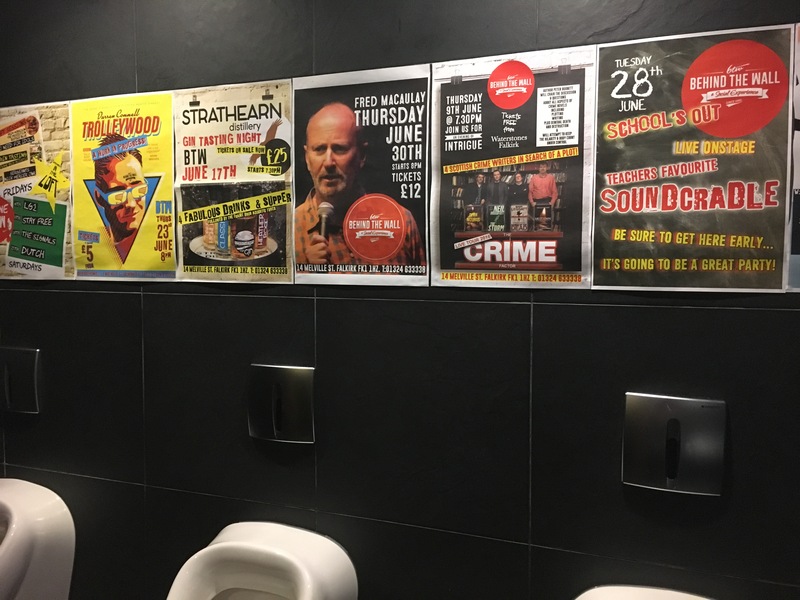 April 21st – Kirkcaldy – The boys hit the Lang Toun. Great laughs, and thanks to Alice of Waterstones for the welcome and wine! June 2nd – Perth – Great fun in the Fair Toun, with over 50 paying customers and a great laugh. I got the first swearing in, and Doug got the dirtiest joke prize. 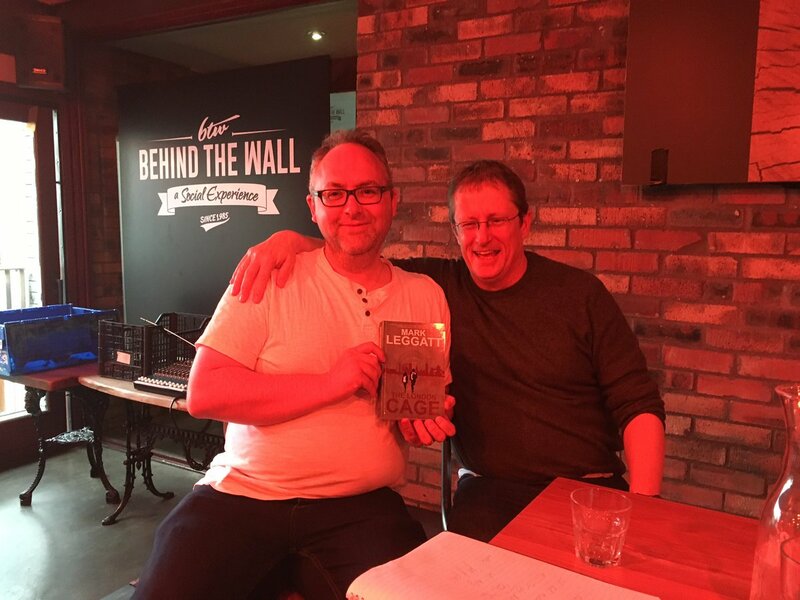 June 9th – Falkirk – A great craic at Behind the Wall, and I signed my first copy of the London Cage. Cheers Gordon! 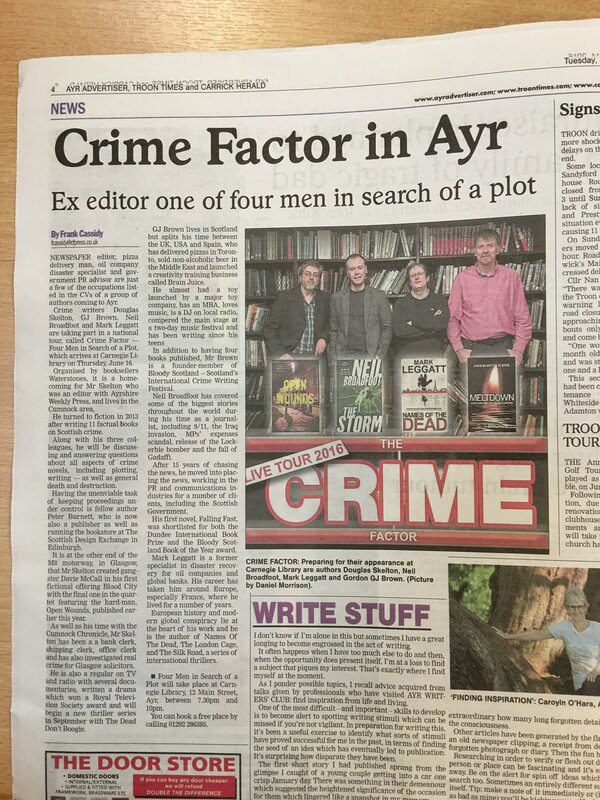 We hit the news again…. a fantastic night in Ayr! More dates across the country to follow.